CYIENT Company Jobs opening 2018-2019 for Embedded Software Engineer download application At www.cyient.com. 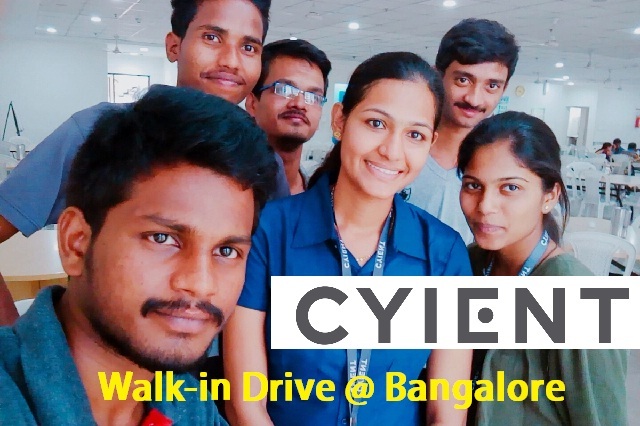 CYIENT walk-in for Embedded Software Engineer has invited applications from interested, eligible candidates to fill in the vacancies Interested candidates can apply on through official website. who have not applied until now can follow the instructions below and apply Online. CYIENT Walk-in 2018 - Embedded Software Engineer || B.E, B.Tech - Apply Now. Hands-on Experience in embedded SW development using C/ C++. Hands on experience on 16/32-bit microcontrollers like NXP Power Architecture, Renesas, ARM, TI DSP. Hands-on experience in cross compilers, debuggers/emulators. Hands on experience in communication protocols SPI, CAN, Ethernet & tools for the same like CANalyzer, CANoe etc. Experience in Device Driver software development & Integration. Experiences in developing SW Architecture, Functional Safety aspects Should be a good team player with positive attitude. Ability to work on projects with tighter deadlines. Should have good communication and documentation skills. Working knowledge of SW development tools for Designing, Configuration Management and Requirement Management Tools Experience in Verification tools- Static analysis tools, Unit Testing tools. Exposure to Automotive standard processes-CMM/SPICE/ISO 26262 /TS 16949/ SAE J1939. Hands on experience in Autosar Experience in MATLAB/ Labview. Experience in Perl and Python Experience in Embedded Linux, ecos, ucos, freertos Prior experience in ECU development would be an advantage. Land mark - Near electronic city fire station.